Great outcome. Looking like a banquet waiting to happen. 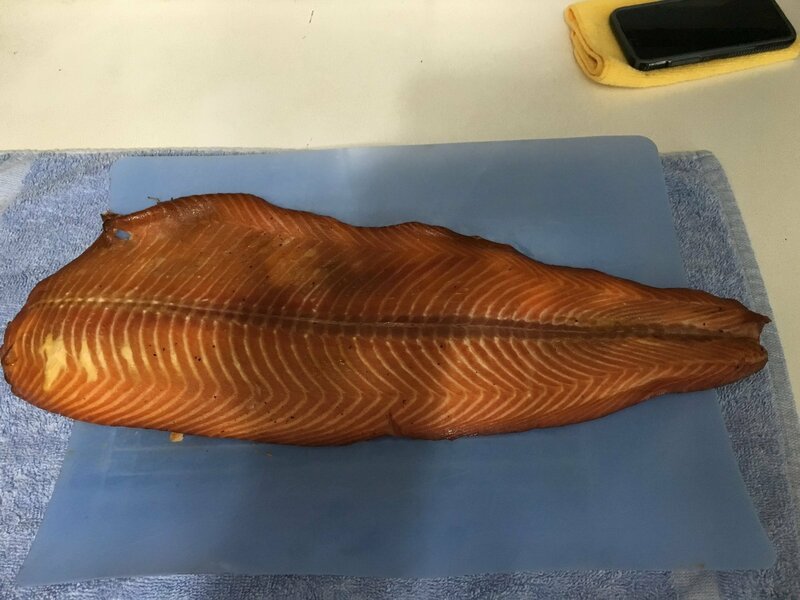 FWIW- I find that exercising diligence with establishing the pellicle before laying the salmon on the smoke is the key to success. That tacky surface just wants to inhale the aromatics. However you get there-the end game is what matters. Great cook. 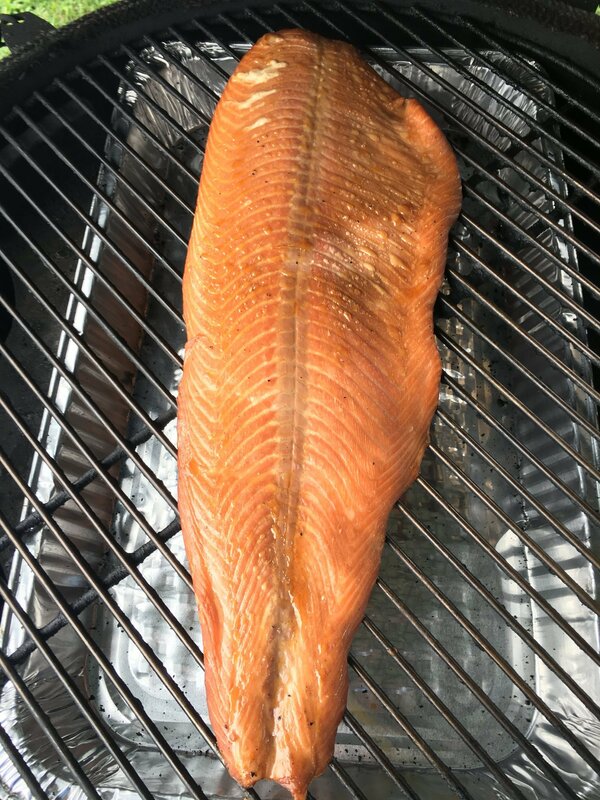 I never realized how much great smoke flavor you could get in a salmon fillet until I started doing them on the BGE. Awesome tool! @chick533 - Looks delicious. What was the brine mixture, please?